This has been an extraordinary year for Texas and for America. I have selected ten events that I feel made an impression or had and will have an impact in the coming year. These events may not coincide with your impression of 2012, but still they are significant as these events will surely change the way we view the people involved or will lead to major changes affecting our lives. 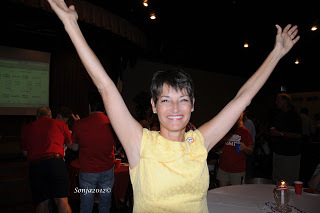 Conservatives in Texas had plenty of difficult decisions to make in the Texas primaries and many of our conservative candidates were bashed, but we also had some awesome wins. Ted Cruz was elected to represent Texas as our US Senator and Dr. Donna Campbell won over her opponent to lead in the Texas Senate District 25. There were some very difficult actions that felt as if we had been personally attacked. 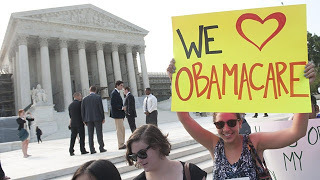 The ruling from the Supreme Court on obamacare, the legal entanglements to the Health and Human Services Mandate to the Catholic Church and the devastating news that BHO was reelected for four more years were beyond disappointing; in fact, they were more like unbelievable. As I write this report, the Obama Administration is having a field day taxing us beyond what we can ever imagine. Over the Fiscal Cliff we go! 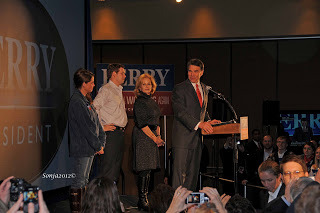 Governor Rick Perry threw his hat in the ring for the highest office, the presidency and failed to win in Iowa. I was there when he announced that he was withdrawing from the race and I heard the loud gasps and when he finished uttering his statement….silence. This moment was heart wrenching for his supporters. I knew then that he could not make up his loss. The following morning Perry tweeted that he would continue…it was too late. He was done. This loss may cost him the governorship in 2014. 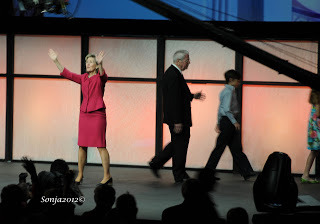 US Senator Kay Bailey Hutchinson gave a very heartwarming ‘goodbye’ to those in the audience at the state convention. I was touched by the sincere affection she has for her fellow Texans. We are thankful for her dedication to her work and wish her well in her future endeavors. I seriously doubt if anyone thought that Ted Cruz running for US Senator for the state of Texas could beat a well established Republican. Cruz was literally an unknown and without the finances of Lt Governor David Dewhurst. When I stood before Cruz at the Republican State Convention watching him on stage embracing the people, the grassroots, I knew in my heart he would be our next US Senator. 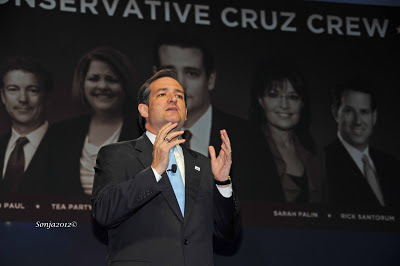 The crowd was electrified by the passion Cruz showed in his bid for the office. In a bitter battle he was able to defeat his opponent, Dewhurst. Grassroots do matter! Texans expect great things to come from this very promising conservative. This landmark ruling on the Affordable Care Act that it could stand on a Taxing clause was a horrific blow to the conservatives and the Republicans. We were in amazement that it was Chief Justice John Roberts that wrote, "Because the Constitution permits such a tax, it is not our role to forbid it, or to pass upon its wisdom or fairness." This ruling 5-4 will be a constant reminder of how America is being ‘transformed’. I first met Dr. Donna Campbell in her emergency room in Columbus, Texas in August of 2011. I went to visit with her hoping to convince her to run as our Senate District 25 Texas Senator. She replied that she would think about this quest. Even then she impressed me as a fiery energetic person. We all know that her energy and wholesomeness and her stance on Pro Life propelled her to beat her pro choice opponent, Jeff Wentworth. We all wish Dr Campbell the very best in her journey to be the Texas Senator of District 25. 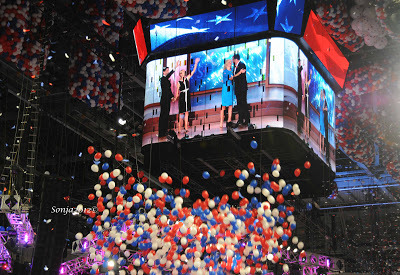 The Republican National Convention was so exciting. It was one of my dreams to be present among all the conservatives that would and will make a difference in our country. 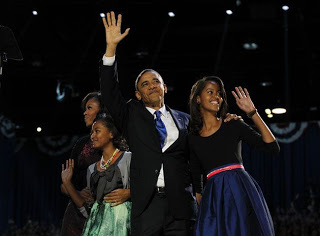 As exciting as it was, the disappointment that our nominee Mitt Romney was not to be our president was another crushing blow to the Republican Party. The photograph I took is a memory caught in time of what might have been. How can we ever forget that the delegates at the Democrat Convention voted three times to let GOD be included in the platform? Cardinal Timothy Dolan delivered his Benediction with extreme purpose despite the fact that the Catholic Church was embroiled in legal actions to stop the HHS Mandate. But as we all know, his prayer fell on Democrats deaf ears. 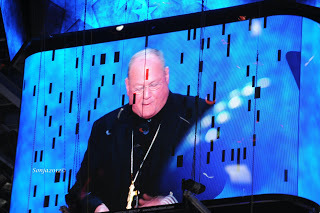 With a ‘firm reliance on the protection of Divine Providence,’ let us close this convention by praying for this land that we so cherish and love,” Cardinal Dolan began at the Democratic convention, continuing: Let us Pray. I really do not have much to say here other than we must continue to pray that God will keep America safe for the next four years. God save America! Social Media the communication by which the young and old stay connected has a new member. 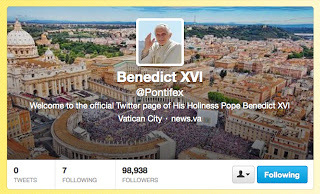 Pope Benedict XVI delivered his first tweet on December 12. It was met with some very caustic comments but also with some sincere appreciation to his reaching out to more people. I followed the Pope somewhere at 218,000. He now has over 1,358,859 following him. He has eight twitter accounts, one in English and seven in other languages. This will hopefully bring more people to the Christian table. 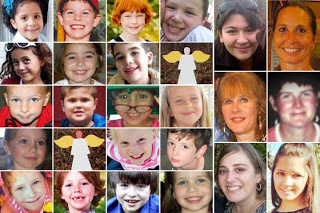 On December 14th, a lone crazed gunman emptied his guns at innocent children and six adults who tried in vain to take Adam Lanza down. In the end the demons controlling Lanza asked that he also take his own life. This random act of violence will be a reason for the Liberals to act on gun control. Not only is our First Amendment under attack, but now our Second Amendment will be targeted in 2013. I want to thank all of you for your support and for your comments on my articles and for the kind words you have sent personally to me. I can not tell you how grateful I am to have such a loyal following and to know that we are one in spirit. Even the Conservatives in Action that do not always agree with my opinion, I am grateful for their observations as it helps to broaden my vision of understanding. 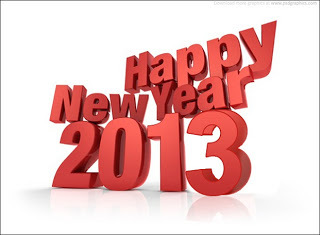 If we ever need to get our message out to more people, 2013 is that year. Please share my articles or the links sent in my reports so that we can grow in strength.